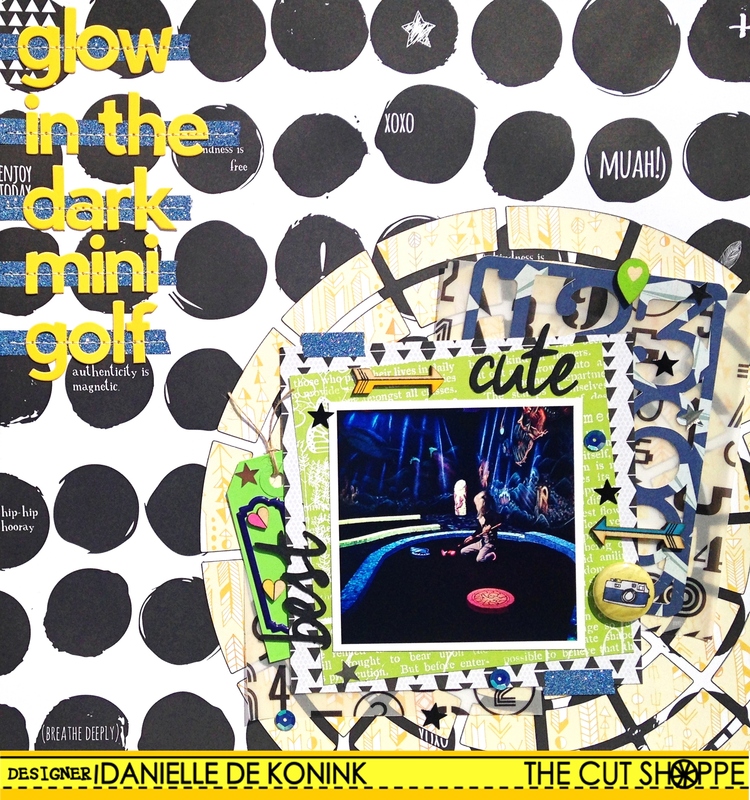 Hey everyone, welcome to The Cut Shoppe - Clique Kits team up! You should be arriving here from Cari Orellana, if not you can start overhere at the Clique Kits blog. We have a fun blog hop for you today and you are going to find awesome projects along your way, all created with the Clique Kits September Study Abroad kit. This kit was filled with a mix of Studio Tekturek, Sodalicious, Studio Calico, Crate Paper, Pinkfresh Studio, Jillibean Soup and Maya Road. Ashley designed some awesome cut files to go with this kit and one of them was the Right On Target, which I used the negative of on this layout. I also used one of the 3x4 Flash Cards and layered it behind the photo. These are all the cut files that were designed for this kit. And you know what? You'll save 15% on a $5 minimum purchase when you use code HOP17. This code is valid September 17 - September 21. Thanks for stopping by and have fun hopping! Your next stop is the amazing Lacey Gaspar. Wow! Love how you used the negative space on your layout, the flash cards, and neat stitching! Thanks for sharing! How fun is this layout! Your layouts- especially your use of cut files -are always so inspiring! So excited to have you on the CK DT this year! I LOVE your layout Danielle!!! 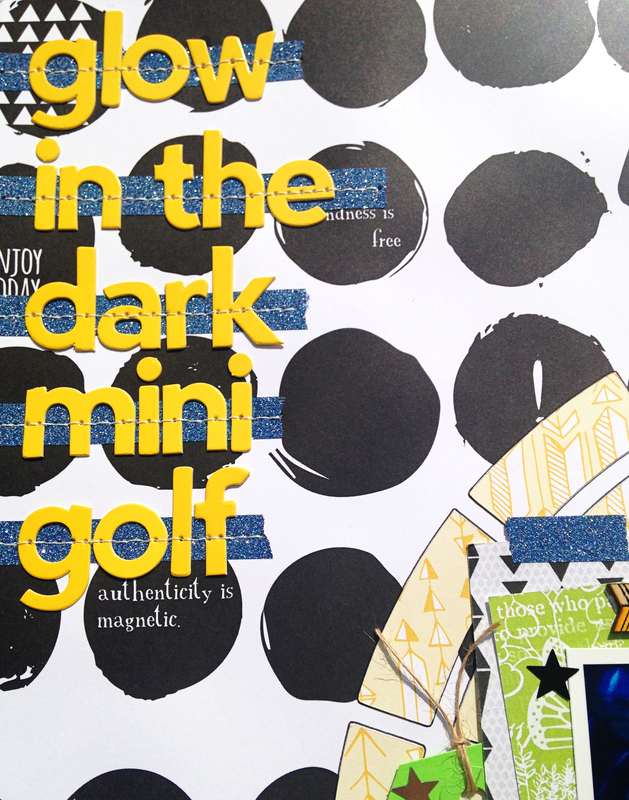 Glow in the dark mini golfing sounds so fun! Love how the CK kit coordinates so well with the cut files. Wonderful layout Danielle!! I always adore your work! And Glow in the Dark Mini gold sounds AWESOME! Love your design Danielle! I love mini golf and have never seen it played that way. Such an awesome page design, Danielle! 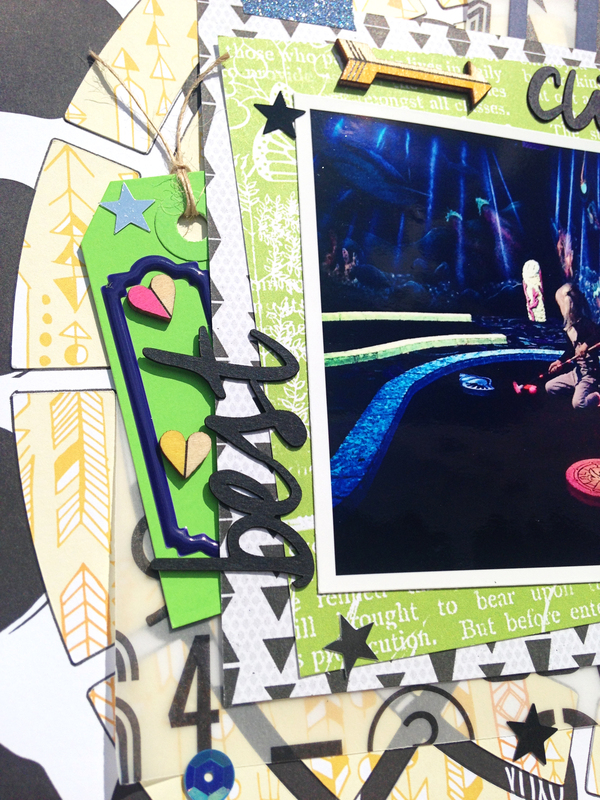 I LOVE the way you used the Right On Target negative pieces!! And the Flash Card looks great layered behind your photo! Fantastic Danielle! Love love what you have done with the kit and that black and white background makes everything just pop! Gorgeous stuff. Gorgeous pops of color and bold graphics as always! Beautiful Danielle! Love the use of the circle grid cut file. What a fun layout! Love how everything goes so well with each other. 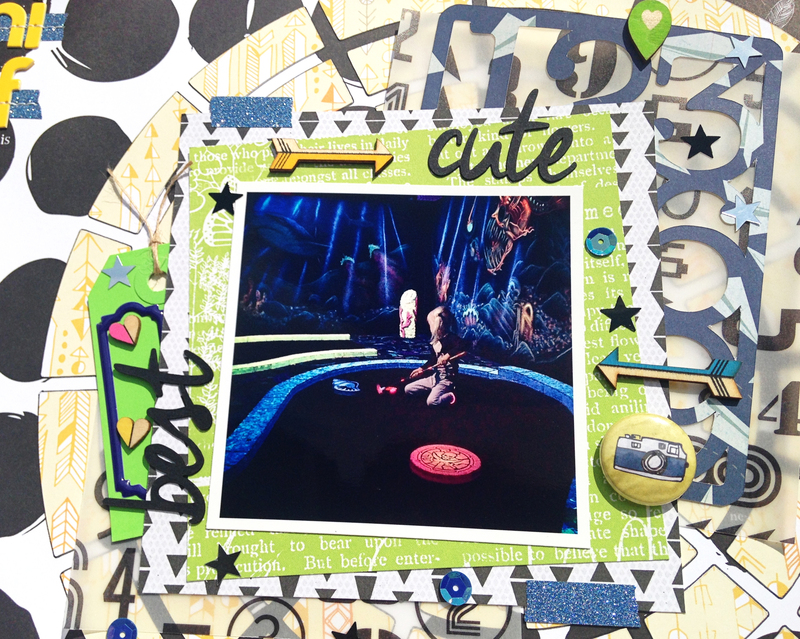 'Love your fun layout, Danielle!! Thank you for sharing!! You did an amazing job, Danielle! UM, seriously awesome Danielle! I'm lovin your use of the cut file negative and how you layers them!! LOVE! Great layouts! I love the stitching! !